"This girl isn't a wound - she's scar tissue." One of the many quotes from this piece. If you didn't get enough pink text on the Drive poster, we found more! 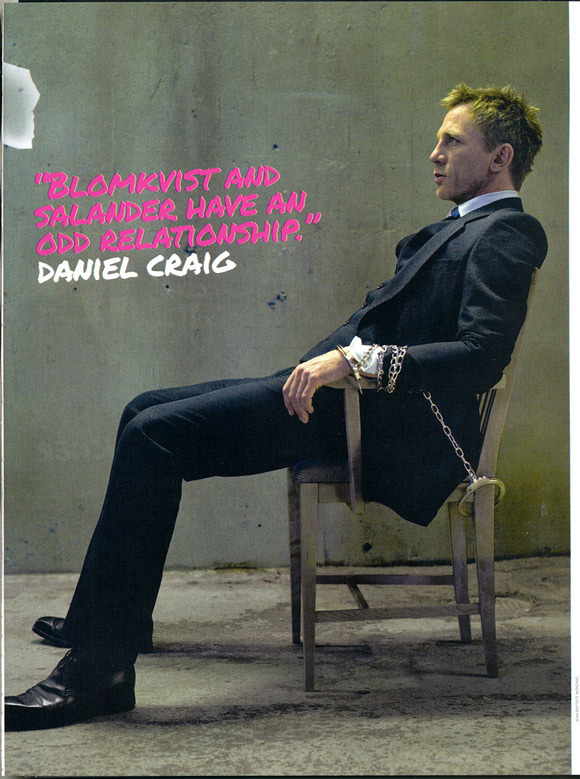 A few high res scans of Empire magazine's article on David Fincher's The Girl with the Dragon Tattoo this month have hit the web and not only do they feature some awesome promo shots in general, but I love the bold pink coloring and overall style with the quotes. Great job, Empire! Not that we haven't seen enough cool imagery and 4-minute trailers already, but I just love seeing edgy photos like this for one of my most anticipated films this winter. See the full pages below! 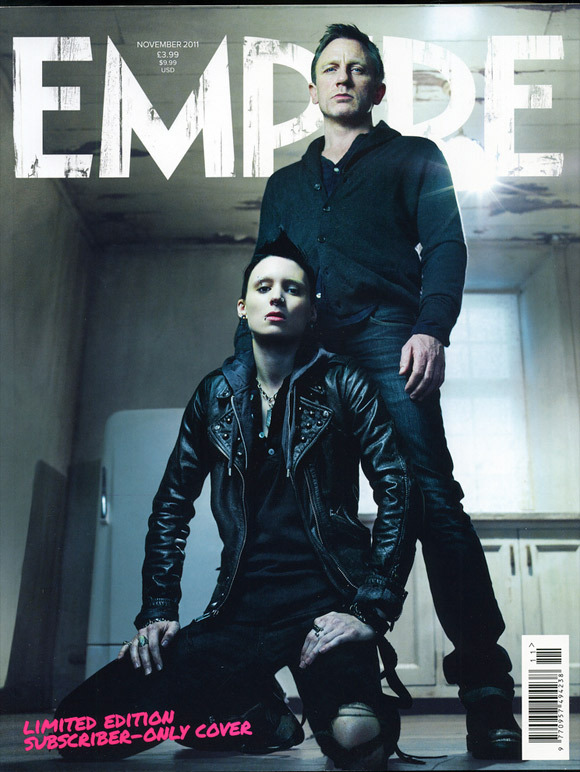 Here are the scans found via Flickr (all the pages here), the rest can be found in the latest issue of Empire. 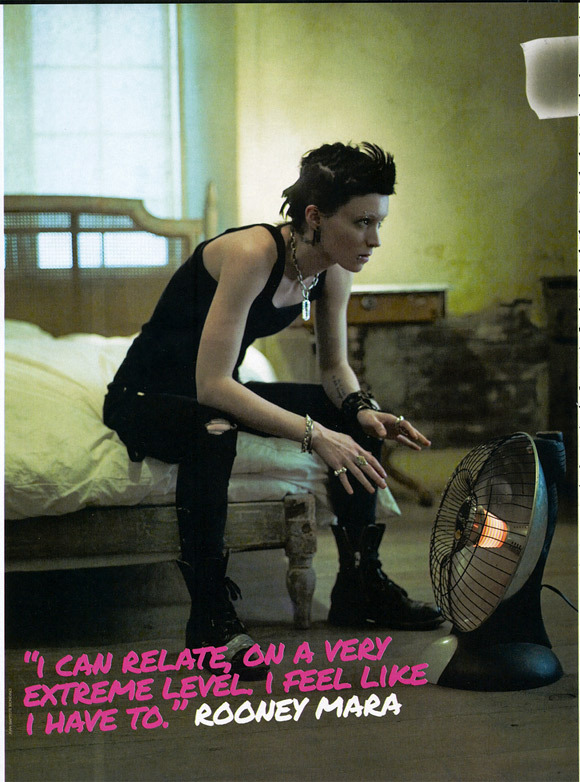 I like the pictures, but those quotes are as cheesy and predictable as it gets..
She's a succubus! I like the photos. I fail to see how a nasty punk chick=succubus. I think he meant just on the picture of Lisbeth and Michael sharing smoke. Right? Exactly what I thought when I saw that crappy pink lettering. I like the photos but the mouth to mouth smoke exchange one is a bit meh. no idea why I posted 3 in a row there? Daniel Craig in that second photo is like "Oh god, not again!" Wait, this issue is only available to subscribers? No - that specific cover is only to subscribers. I'm guessing the one on stands will have a different pic. Reminds me of Fight Club, fincher is a master! So all they did in these pictures is sit around in a crappy apartment and tie each other up?